Twenty passengers and crew, including two US citizens, were killed on September 5, 1986 when the hijackers took control of Frankfurt-bound Pan Am flight 73 for some 16 hours. The group, Abu Nidal, is designated a terrorist organisation by the US State Department. 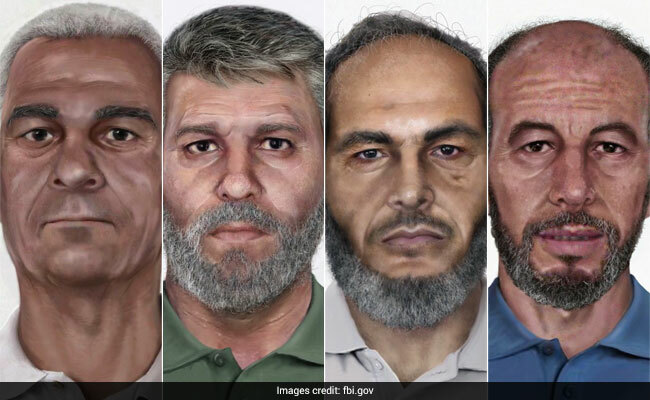 Islamabad: The US Federal Bureau of Investigation (FBI) has released new age-progressed images of four suspects in the deadly hijacking of a Pan Am plane in the Pakistani city of Karachi in 1986. Twenty passengers and crew, including two US citizens, were killed on September 5 that year when the hijackers took control of Frankfurt-bound Pan Am flight 73 for some 16 hours during a stopover in the southern port megacity. It came to an end when the hijackers opened fire on passengers and crew, causing Pakistani commandos to storm the plane. The suspects are believed to belong to Abu Nidal, accused of having carried out attacks in more than 20 countries under the banner of Palestinian liberation. The group is designated a terrorist organisation by the US State Department and each of the men -- Wadoud Muhammad Hafiz al-Turki, Jamal Saeed Abdul Rahim, Muhammad Abdullah Khalil Hussain ar-Rahayyal, and Muhammad Ahmed al-Munawar -- is on the FBI's Most Wanted Terrorists List. According to a statement posted on the FBI website, images of the suspects obtained in the year 2000 were age-progressed by the FBI Laboratory. "We're hoping that with the age-progression photos next to the original photos maybe that will jar some memories or maybe someone has seen these guys walking around," the statement said, quoting a case officer. The US State Department is also offering a $5 million reward for information leading to their arrest, through its Rewards for Justice Programme. At a trial held in Pakistan 1988, the four men plus a fifth hijacker, Zaid Hassan Abd Latif Safarini, admitted to having carried out the attack and were given death sentences that were later commuted to life imprisonment. Safarini was released from prison in Pakistan in 2001 but was quickly arrested by the FBI. In May 2004, a US federal judge in Washington sentenced him to 160 years. The four other hijackers were released by Pakistan after completing their jail terms in 2008. In 2010, some news reports claimed that Rahim was killed in a US drone strike in North Waziristan.